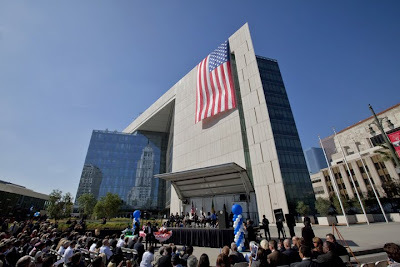 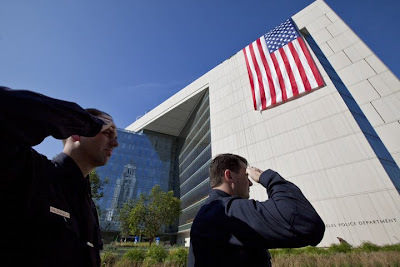 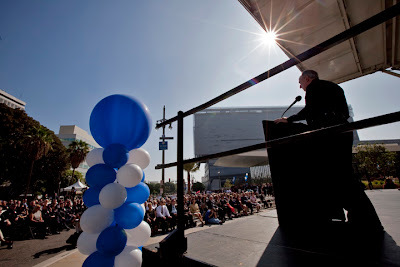 The new Police Administration Building in downtown LA held it's grand opening today. 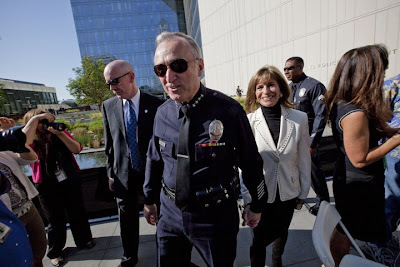 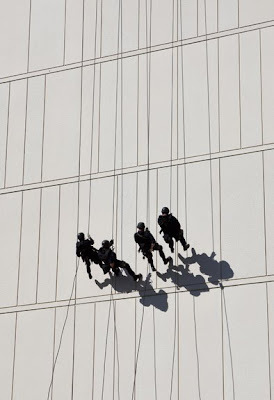 The 10 floor 500,00o square foot building will house the LAPD's administration personnel, including a new LAPD Chief, and also would replace Parker Center as headquarters. 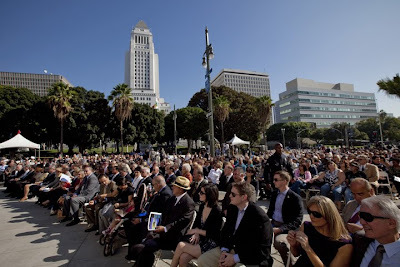 LA Mayor Antonio Villaraigosa along with his new girlfriend Lu Parker were on hand to dedicate the new structure. 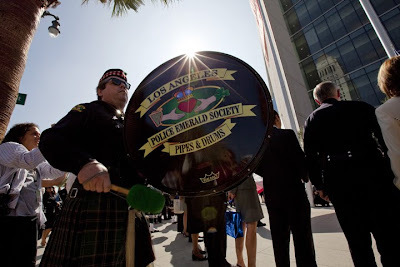 Other speakers included LA Police Commission President John Mack, Councilmemeber Eric Garcetti, Councilmember Jan Perry, and a tearful LAPD Chief William Bratton.